Now, does a singer play his own music at their wedding? If you're Miguel, yep. 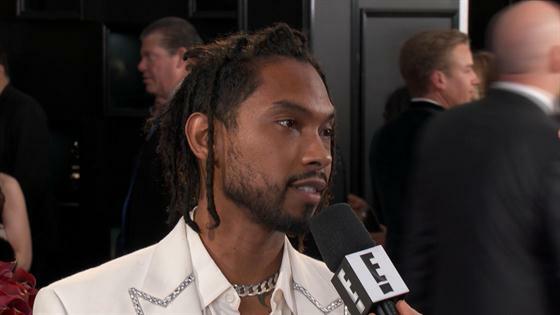 "We played a little bit of my music, yeah," Miguel told Ryan Seacrest on the Grammys red carpet. As for what's next, Miguel said he's always looking for music inspiration in "personal experience and storytelling about things we're going through, seeing and feeling."